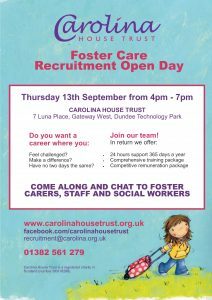 Interested in finding out more about becoming a foster carer? Come along to our information event. 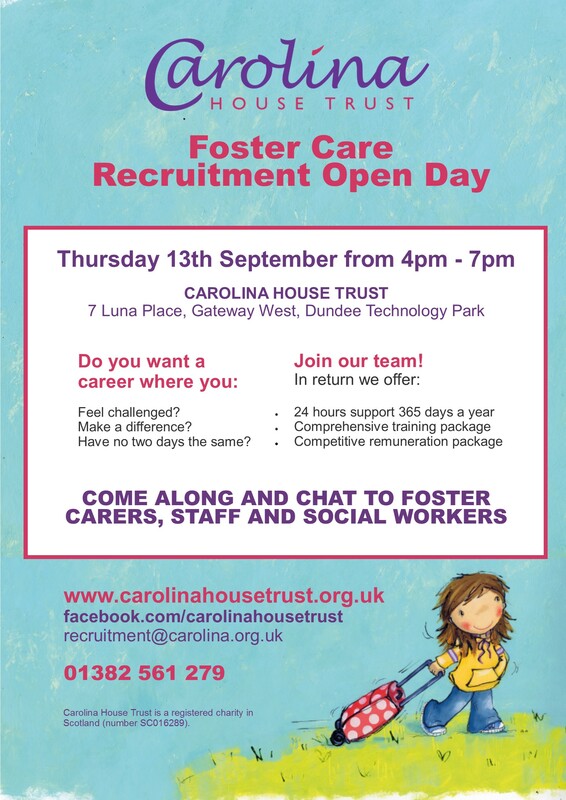 We are holding an foster care information day in our Head Office, 7 Luna Place, Dundee Technology Park on Thursday 13th September between 4pm – 7pm. If you are interested in finding out more about fostering come along for some information and advice. Our friendly staff and foster carers will be available to answer any questions you may have over an informal chat.